We were grabbing lunch the other day with a girlfriend of mine.. and I’m not sure how the topic came up. But the word ‘lasso’ flew into the conversation..
“Uh oh,” I thought. And I started laughing. “Don’t call it a lasso. People from the city are always calling it a lasso,” he says to her, very seriously. We all start laughing. Me, in part because I made the same mistake early on in this relationship. And I’m not sure I’ll ever live it down. A lasso ( /ˈlæsoʊ/ or /læˈsuː/), also referred to as a lariat, riata, or reata (all from Spanish la reata), is a loop of rope that is designed to be thrown around a target and tighten when pulled. It is a well-known tool of the American cowboy. The word is also a verb; to lasso is to successfully throw the loop of rope around something. Although the tool has several proper names, such terms are rarely employed by those who actually use it; nearly all cowboys simply call it a “rope,” and the use of such “roping.” Amongst most cowboys, the use of other terms – especially “lasso” – quickly identifies one as a layman. A lariat is made from stiff rope so that the noose stays open when the lasso is thrown. It also allows the cowboy to easily open up the noose from horseback to release the cattle because the rope is stiff enough to be pushed a little. A high quality lasso is weighted for better handling. The lariat has a small reinforced loop at one end, called a honda or hondo, through which the rope passes to form a loop. The Cowboy grew up roping. When he was just 3 or 4, he says he would hop on a crazy horse named Chief, with his dad, and they would ride about 5 miles through the pastures to a neighbors house. To roping club. The Cowboy says if he remembers right, Chief was ugly as sin. (A little side note there.) But, a good horse. It was a weekly competition. Apparently anywhere from 20 to 30 guys would show up. They kept track of how everyone did, kind of like a league. And at the end of the year, they gave away a buckle. “Did you love it?” I asked as we were talking about what I might write. The Cowboy’s earned quite a few buckles in his career. He made it to state time and again in high school .. roped all through college and was team roping professionally, until the divorce. He didn’t want to be gone on weekends anymore or traveling when he might have a chance to see his kids. And life with the rodeo, is apparently, a life on the road. He is still on the road quite a bit, back and forth between South Dakota and Wisconsin. In fact, he grabbed his coat just this morning.. and headed for home. He gets a few hours tonight with the kids..
And he loves that they .. are the ones now picking up the rope. In fact, my daughter, since meeting the Cowboy has learned quite a bit. Even she reminds me; Real cowboys use a rope. When you’re above your head and its a in a circle, its still not called ‘a lasso’. It’s called swinging your loop. I can still hear her.. the last time I messed up and called it the wrong thing, and then asked, ‘why, again’? I believe that’s the same answer (minus the ‘mom’ reference) I gave the other day, to my girlfriend. This entry was posted in Cowboy, Life, Parenting, South Dakota, Uncategorized, Wisconsin and tagged Cowboy, Farrier, Horses, Life, LIfestyle, Love, Relationships, South Dakota, Wisconsin by Carleen Wild. Bookmark the permalink. 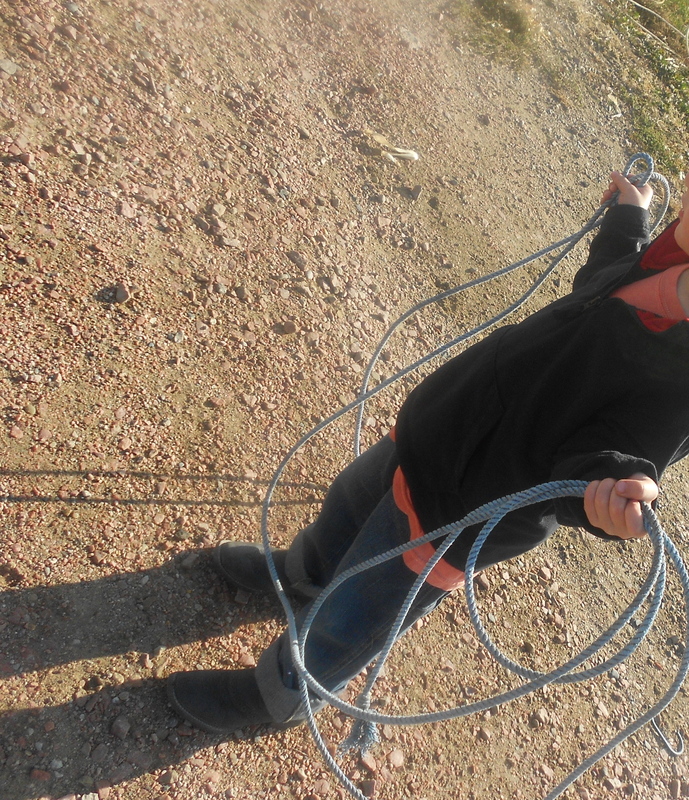 My kid is a cowboy, roughstock mainly, but has become quite handy with the rope over the last few years. I too have had to learn, and I’ve even thrown a few loops over the years, but only to a roping dummy. Fun, Dave! Your son’s into it? Where does he rope? 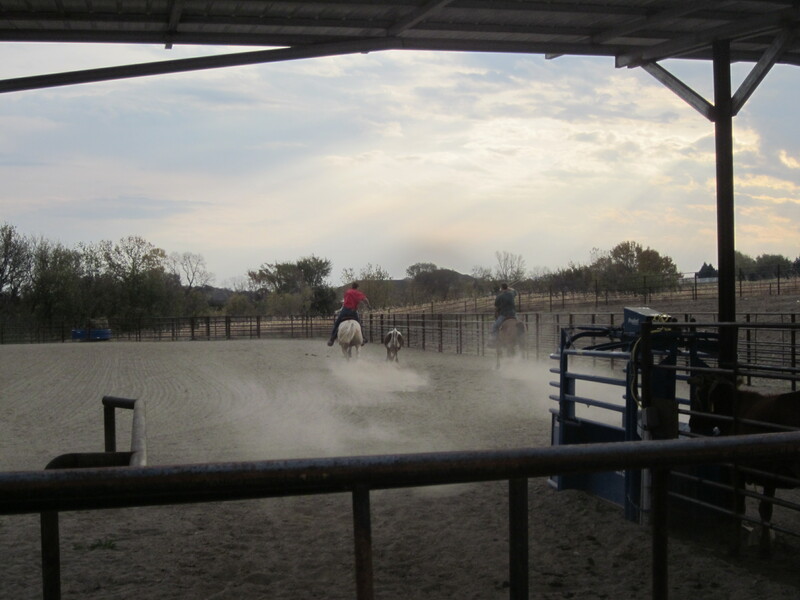 Cowboy’s convinced I’m going to learn.. and have fun doing it. And I’m sure I will. I just need to find time. Right now I look like ridiculous.. and all I can do is laugh to the point I can’t even try to throw anything. 😉 Cowboy is a heeler. And that’s a whole other blog. He is! He has been a cowboy since the age of seven, when he rode his first bull (steer for Junior entrants) in a Little Britches Wisconsin rodeo. 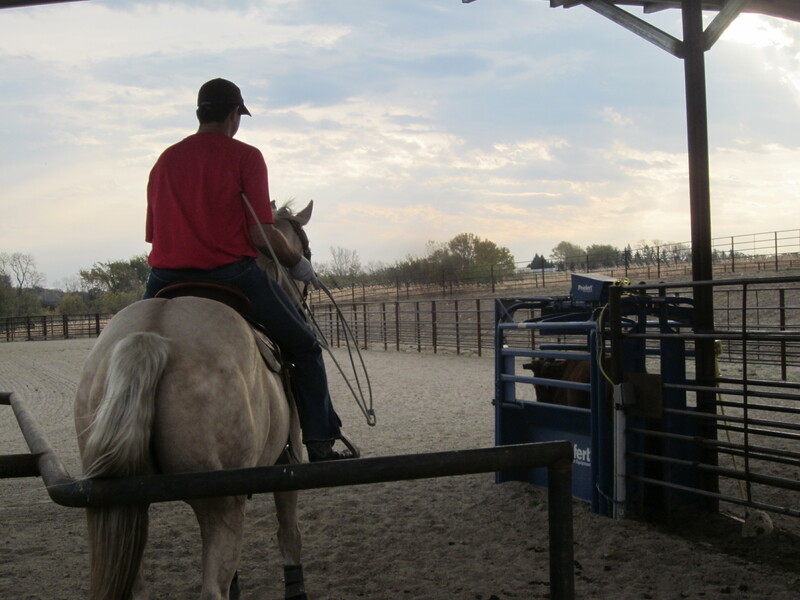 He now ropes with friends and other family that are also into rodeo. He has really taken to it! What a great post. When I (who grew up in the suburbs of Boston) married into an eastern Montana ranch family, I felt like I had to learn a whole new language. How clearly I remember feeling so proud when I felt confident enough to ask “How’s calvin’ goin’?” at the appropriate time! Thanks for these nice memories.